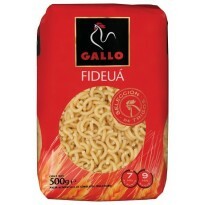 Enough to serve approximately 50-60 main course. 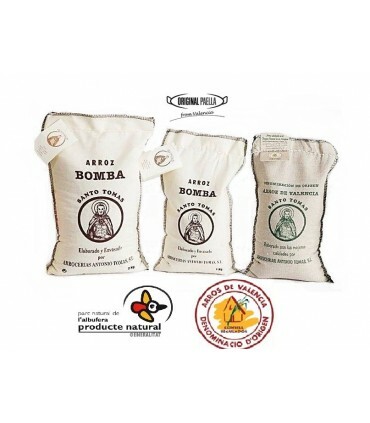 Bomba rice is produced at the Albufera Natural Park since 1986 (a “Wetland of International Importance” since 1989), which guarantees that they are completely free of pesticides and herbicides, etc. 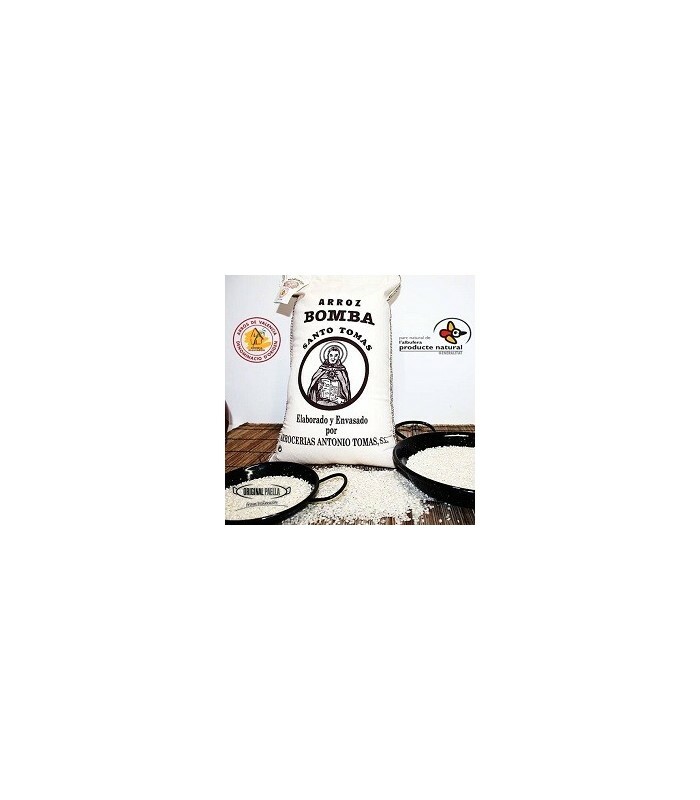 Furthermore, no chemical products of any kind are added during processing. 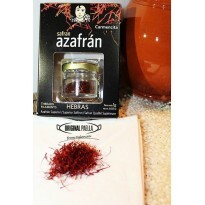 The authentic Valencian rice produced for centuries in your Original Paella. 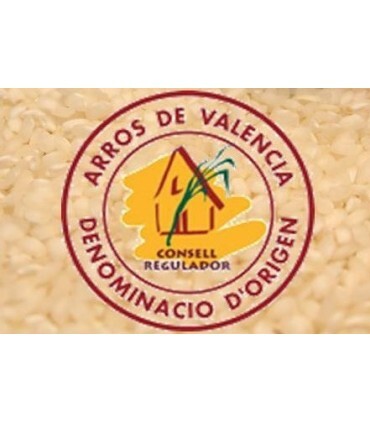 Grown in the Iberian peninsula since the Middle Ages and preserved by genetic selection at the Rice Station at Sueca (Valencia) since 1929. 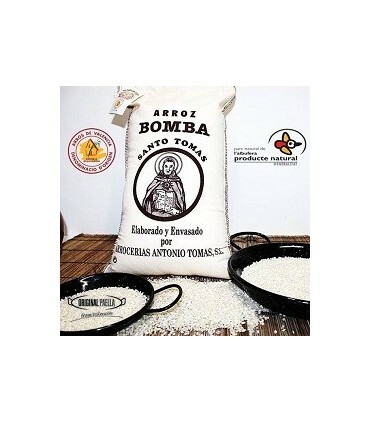 The production of “Bomba” rice is limited as it is delicate to grow. 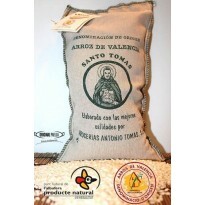 It is a short grain variety with a pearled colour. 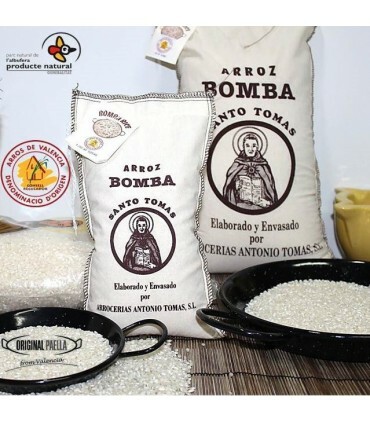 Its size is equivalent to that of the short grain rice, sometimes even smaller, yet Bomba rice more than doubles its size when cooked. 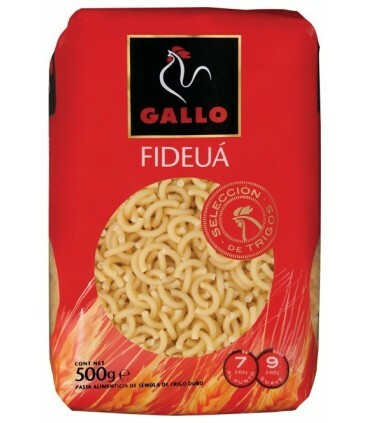 Its main characteristic is its great capacity to absorb flavours and aromas and that when cooked it is always “al dente”, loose and whole. 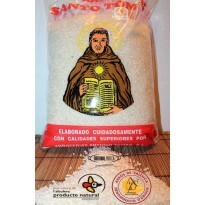 These culinary excellences make it be considered as one of the best rice varieties in the world by expert chefs and for it to be called the “King of Rices”. 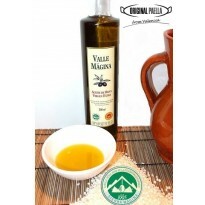 The gourmet rice par excellence, we can find it in the best delicatessen shops in the world. 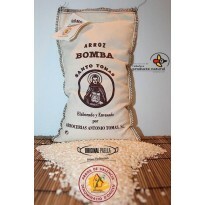 Especially recommended for Paellas, “Abanda” rice, etc, although it can also be used for creamy or juicy rice dishes. 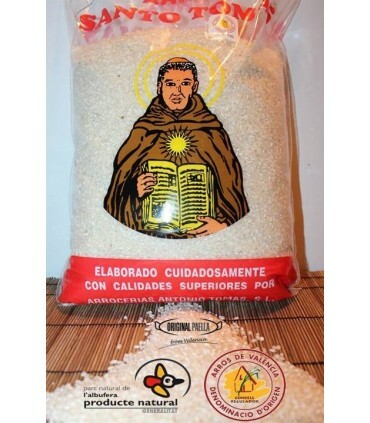 Lo conocí en el campeonato del mundo de paellas de Sueca y la verdad es que es el mejor, cuando saco el precio por ración del arroz es cuando mas satisfecho estoy de este arroz ya que por apenas unos centimos más consigo la paella mucho más sabrosa y el arroz en su punto.